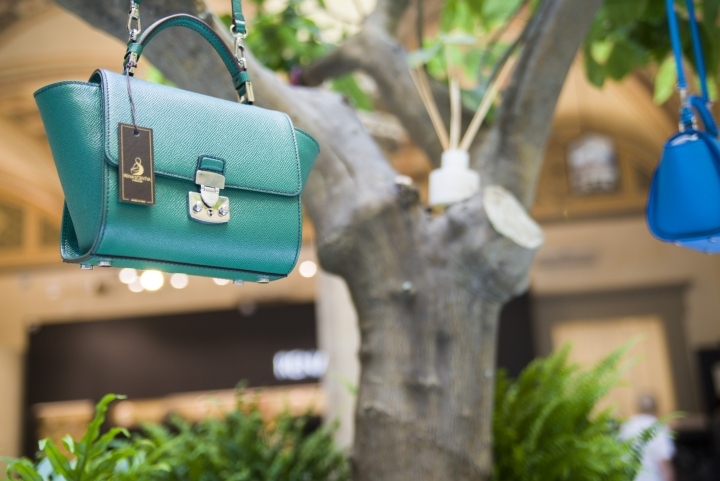 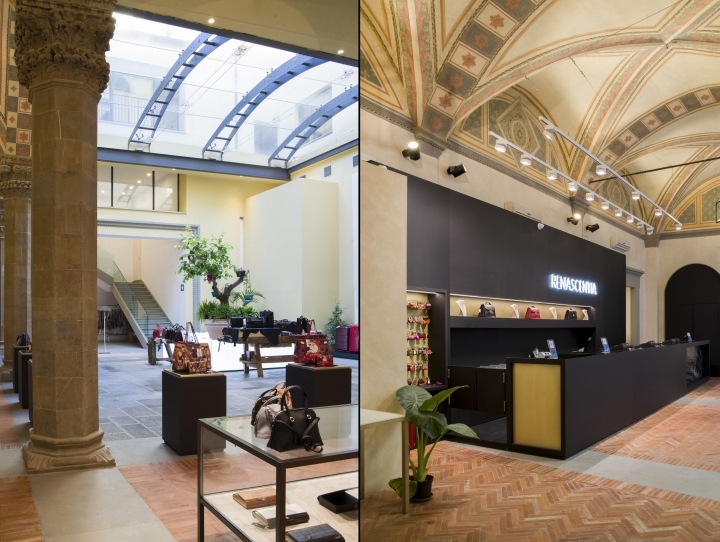 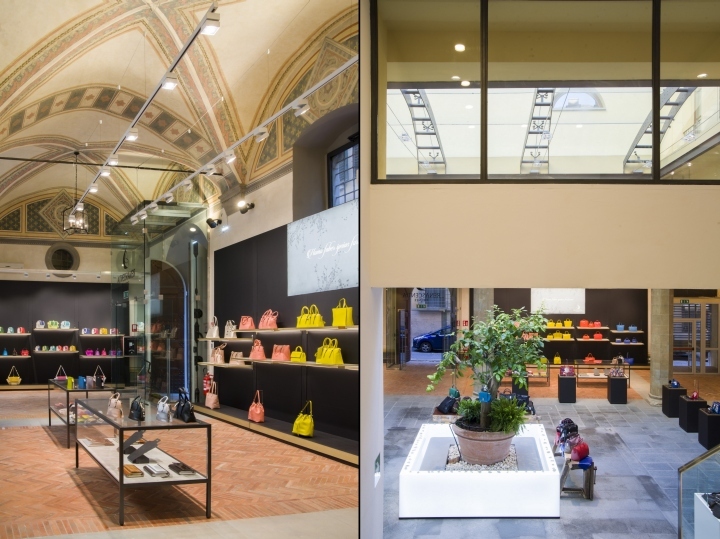 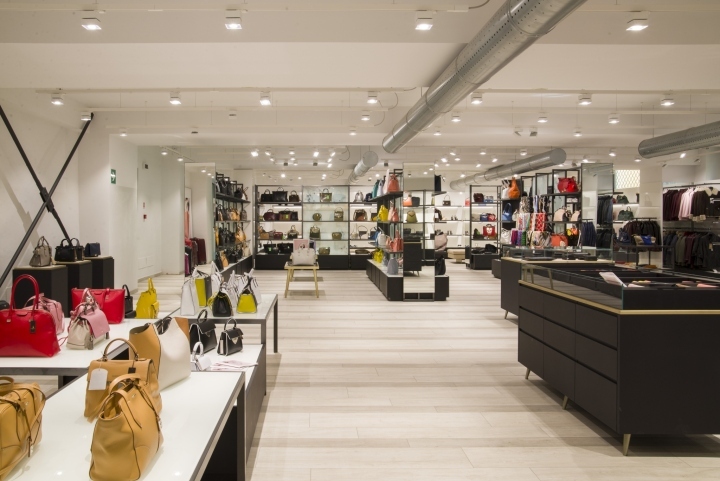 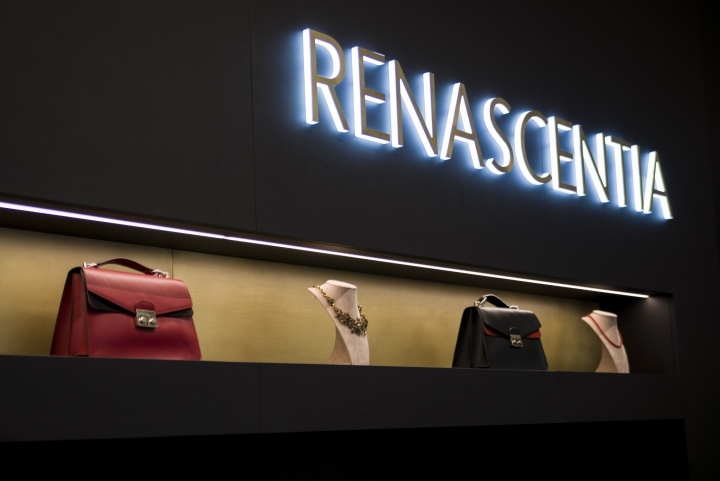 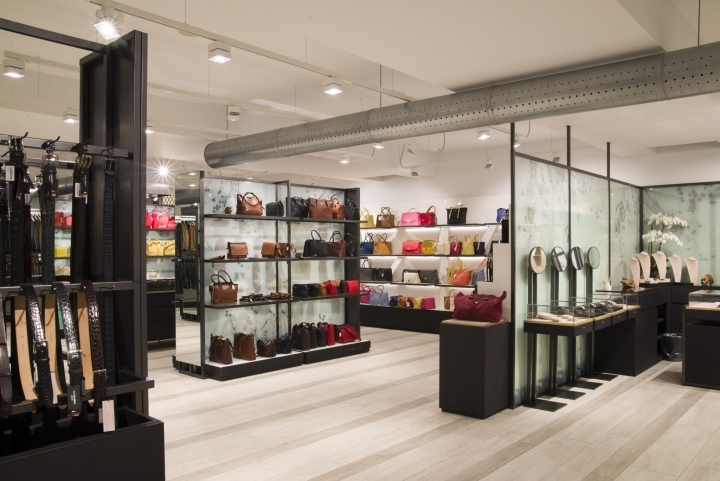 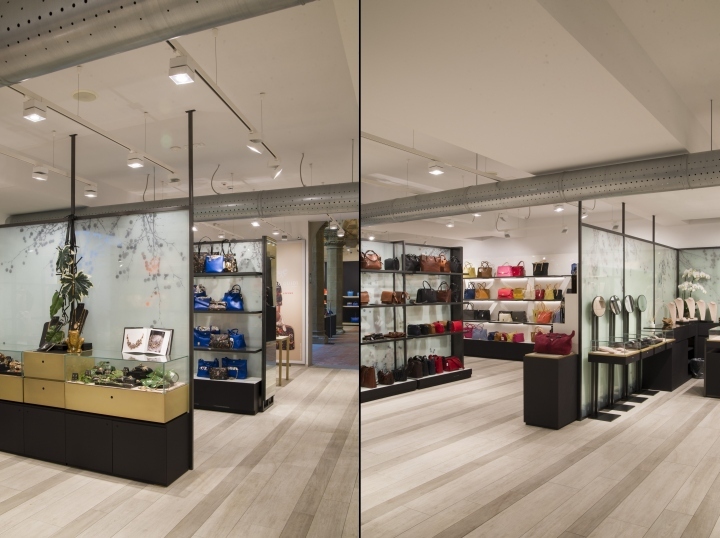 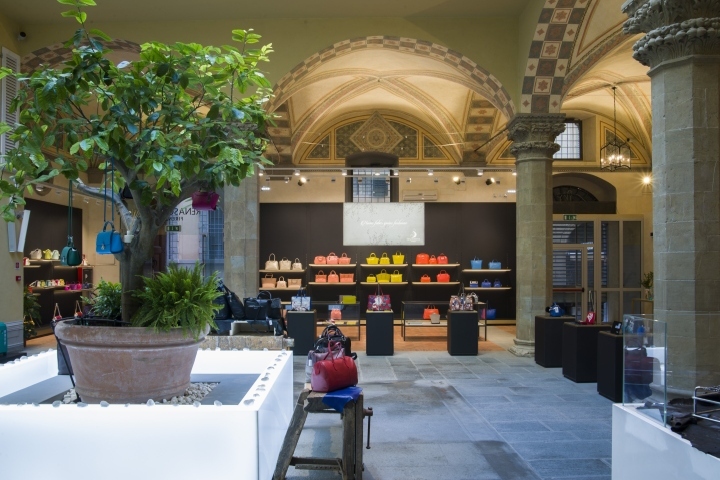 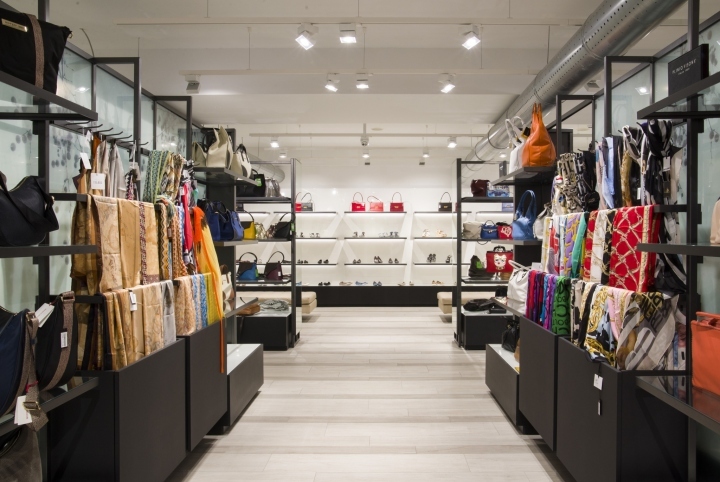 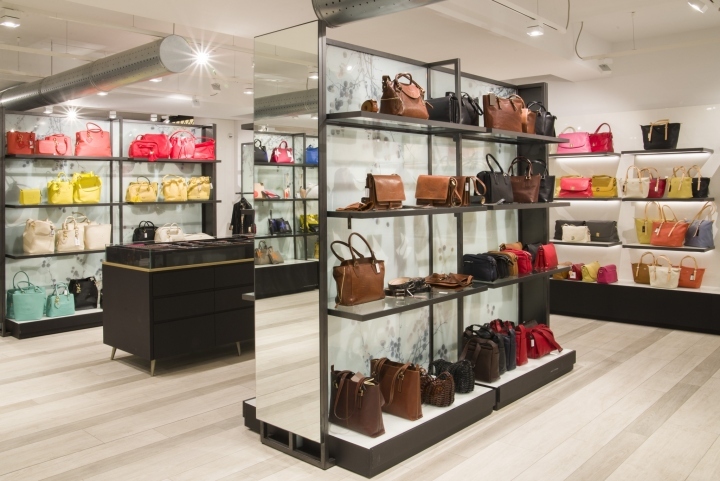 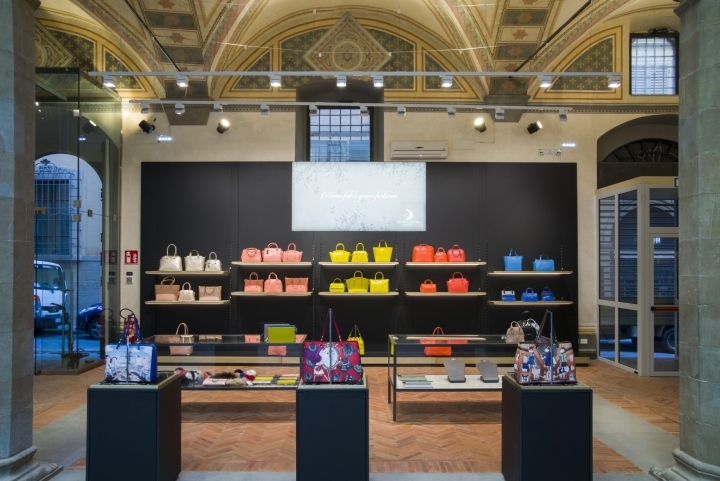 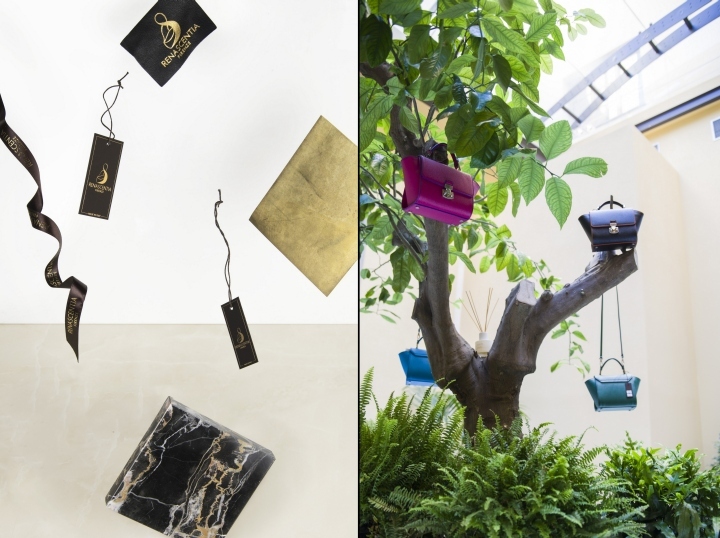 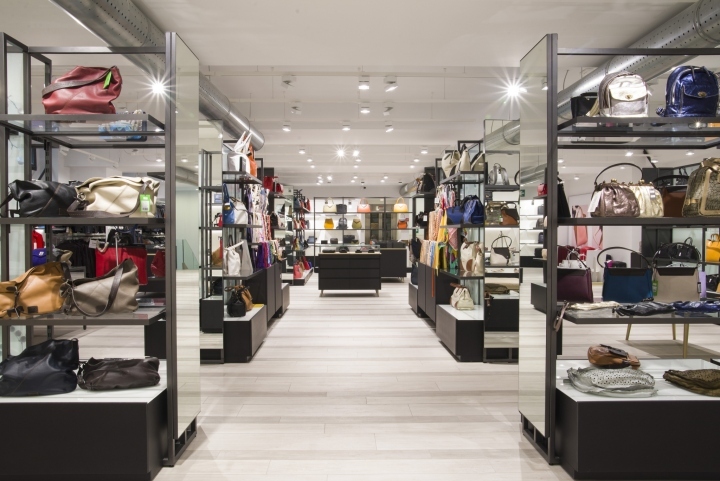 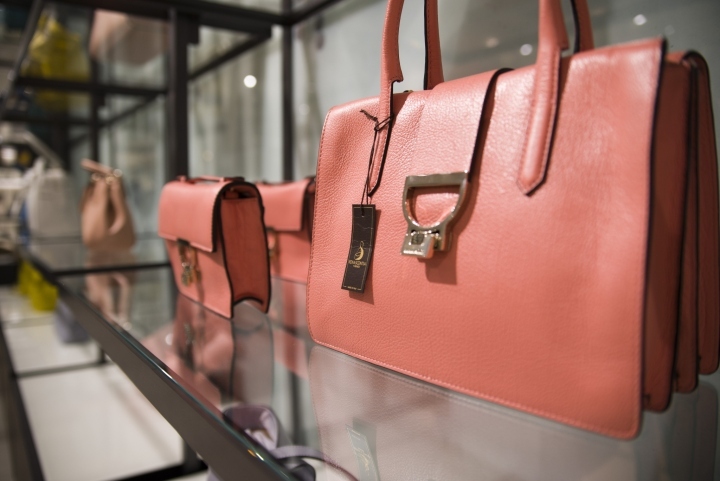 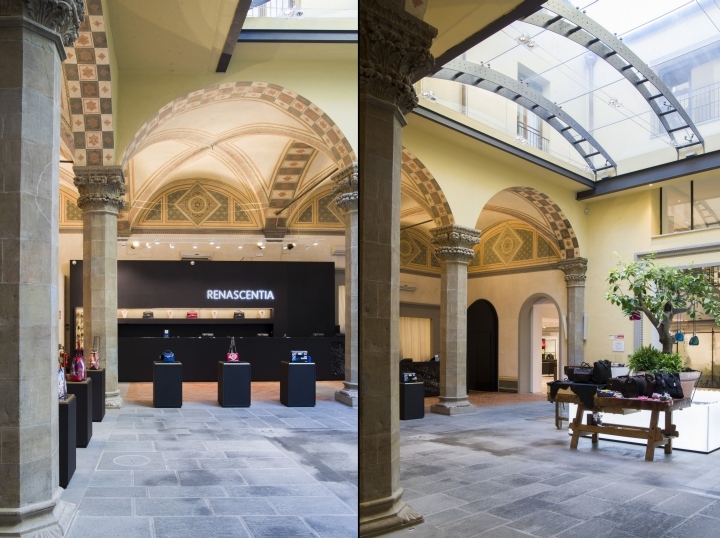 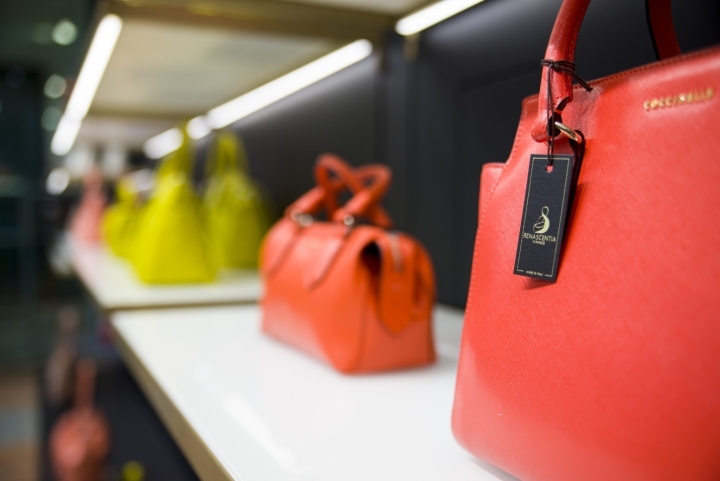 Inside of the historical palace “Tornaquinci della Stufa” in Florence was opened the new flagship store Renascentia, brand specialized in the sale of handicraft products such as handbags, shoes and jewelry. 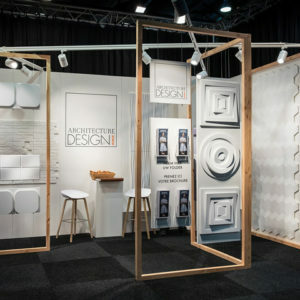 The Giraldi Associates Architects studio has created the concept of the space confronting with an inner architecture constrained by the architectural heritage Authority. 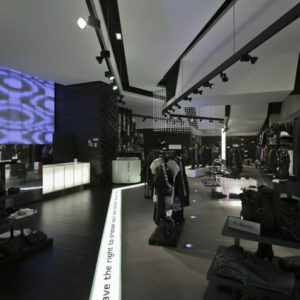 The building, in fact till to the 80′, after a series of changes, was converted into a cinema and only around the early 2000s was restored again by changing the intended use, becoming commercial place. 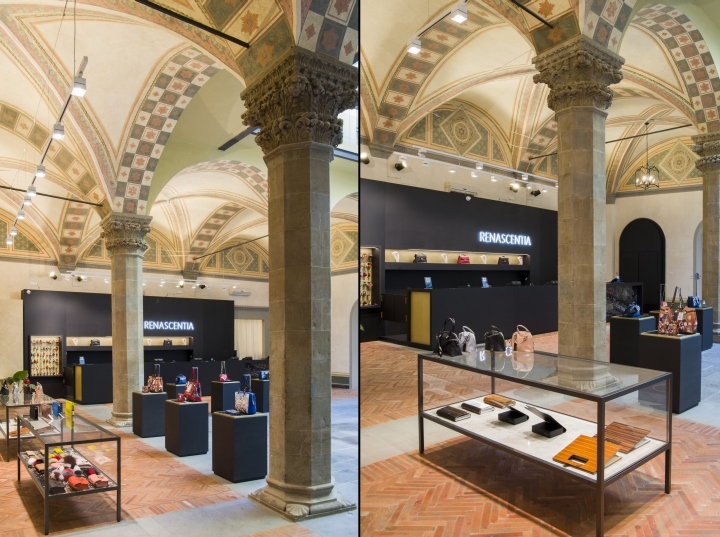 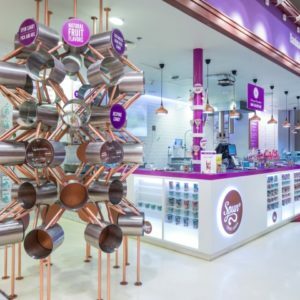 The Florentine brand store occupies an area of about 1300 sqm divided between the ground floor, where around a courtyard emerge decorated vault, columns with capitals made of pietra serena stone and a terracotta floor, and a first floor where instead there are no original elements of the building. 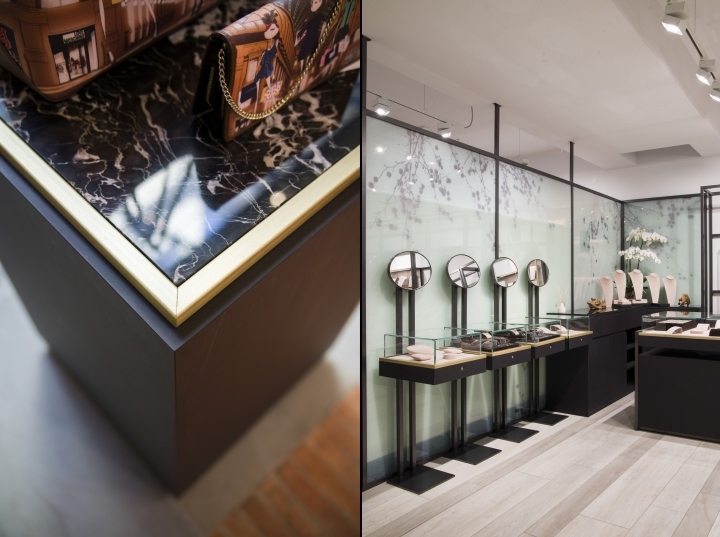 In this beautiful setting the Giraldi studio included custom furnishings designed using materials such as bronze, marble, iron and printed glass with floral graphics to create a space which would surrender the customer in a place with an art deco inspiration. 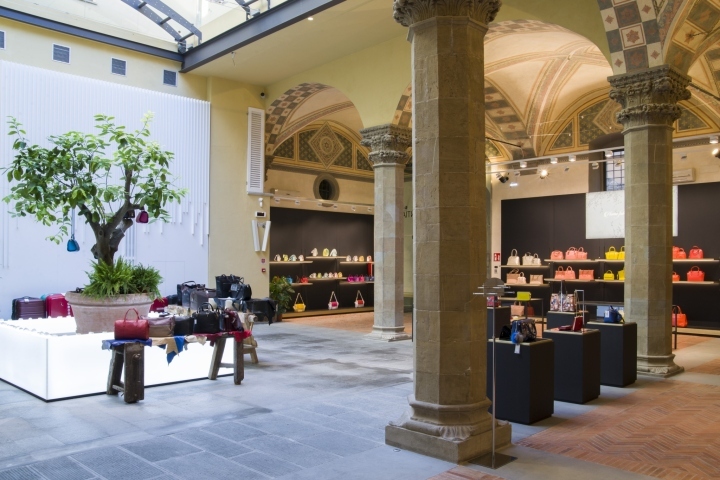 The sales area is designed for large flows of visitors and for this reason the amplitudes were considered oversized splitting the ambients in a defined way: on the ground floor, from the entrance opens the covered courtyard by a large skylight, around which wind through the chest area and a first sales area dedicated to jewelery, bags and their customization thanks to the presence of a local gilder that values the will of the property to enhance the leather made in Florence. 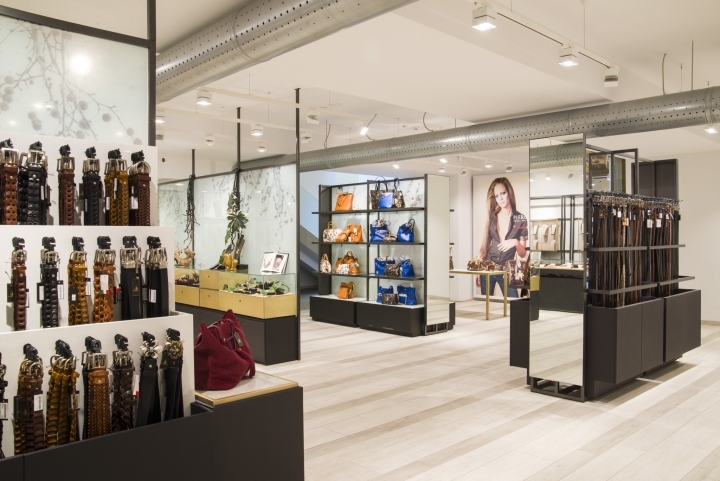 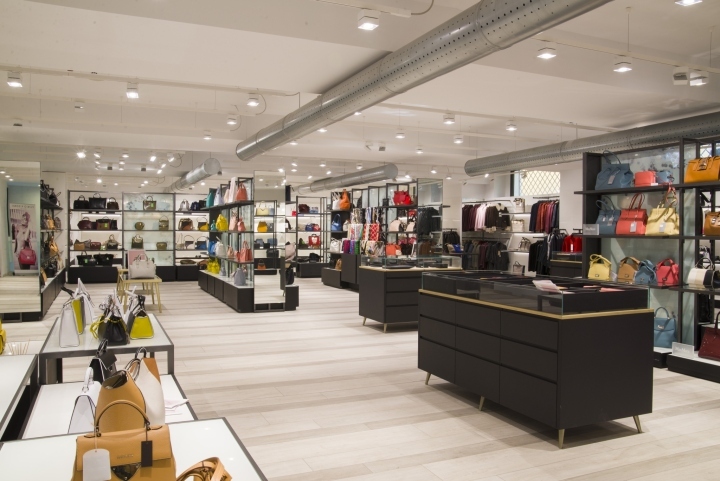 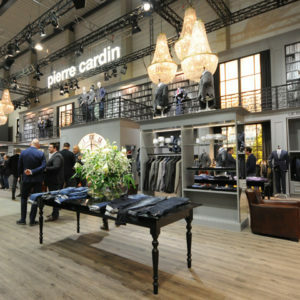 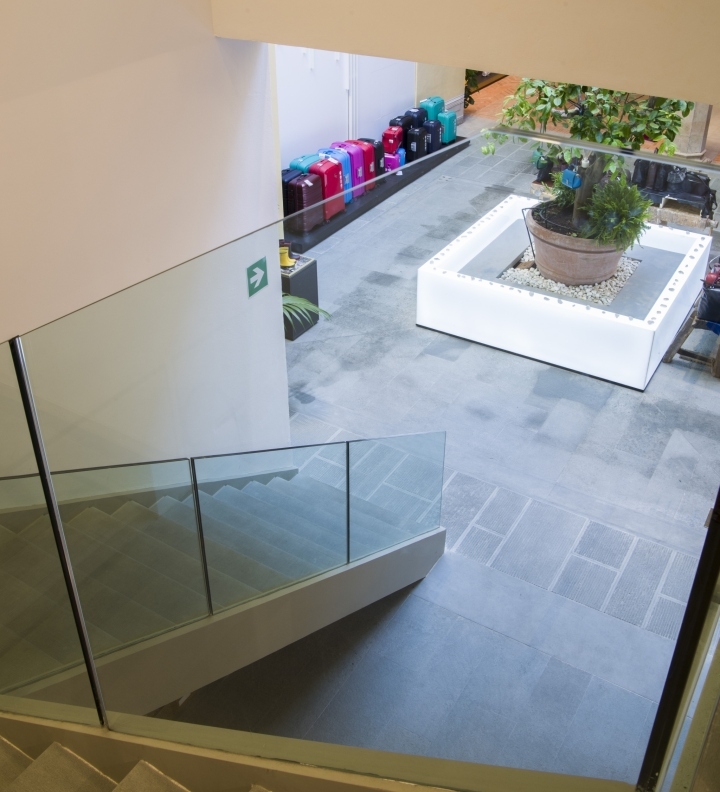 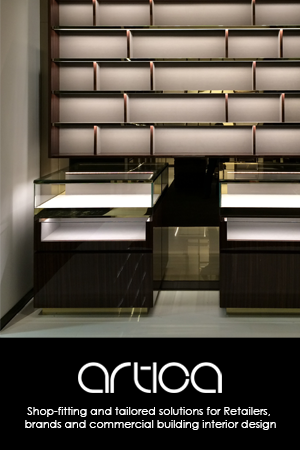 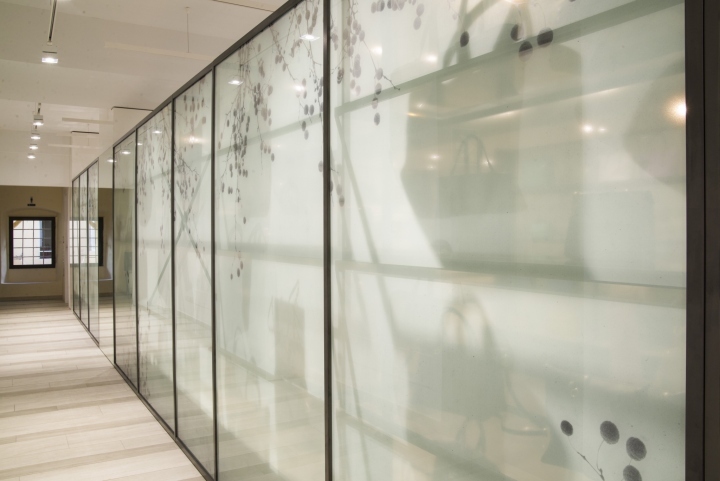 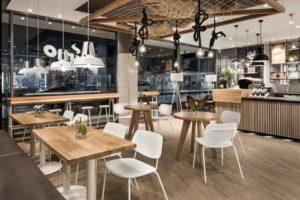 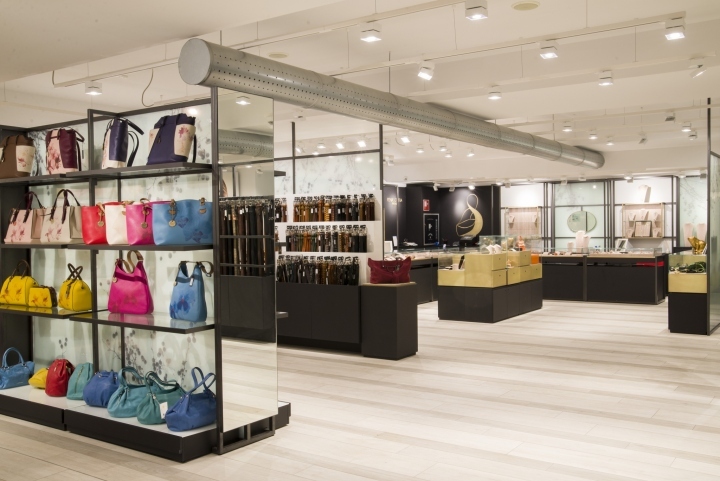 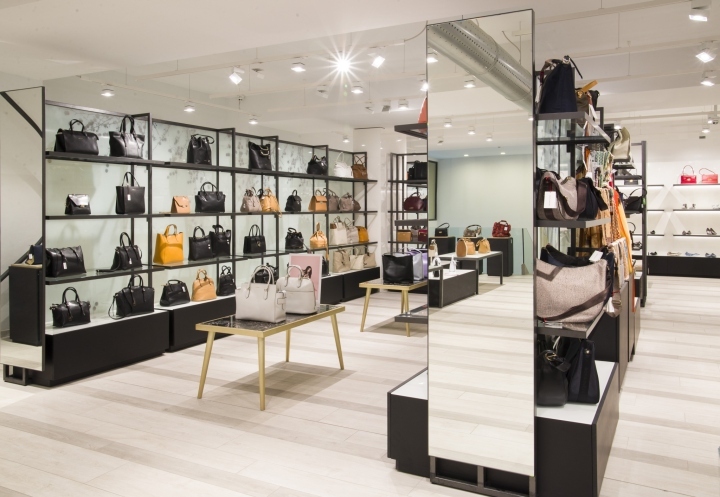 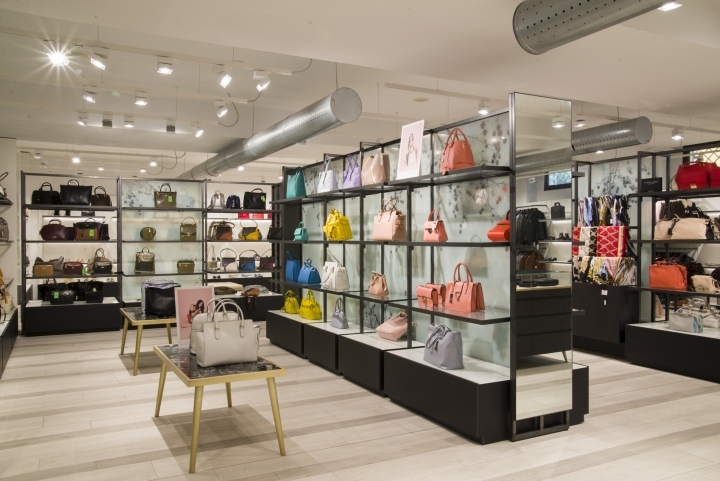 The first floor, featured with a gres floor, welcomes other sales areas dedicated to accessories and clothing, enriched by the presence of pouf. 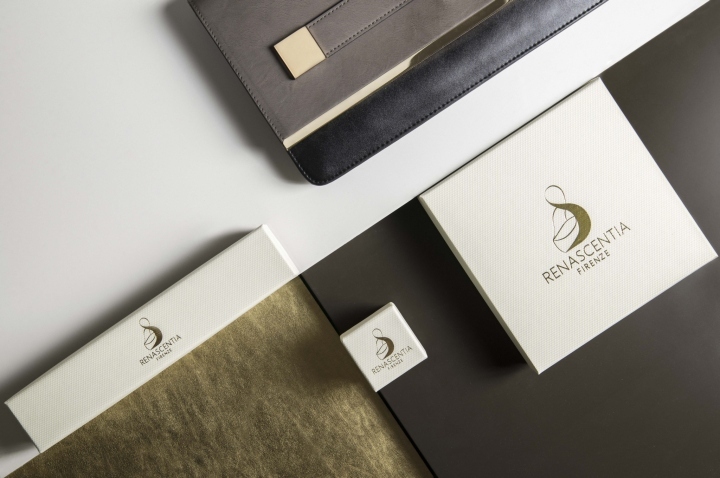 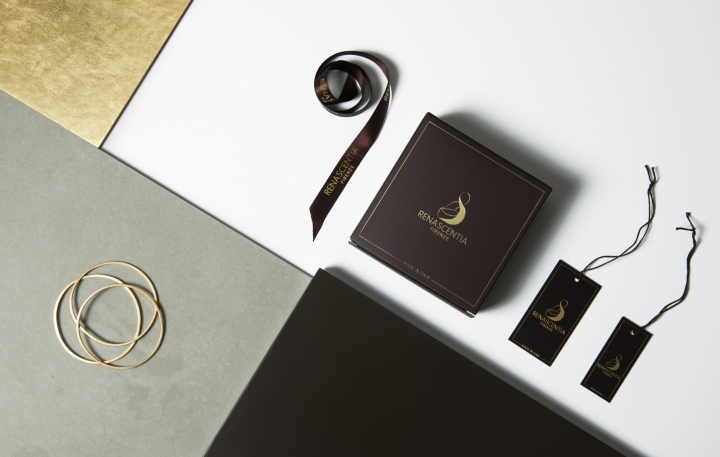 The Giraldi studio also designed the corporate identity of the brand, studying the logo that recalls the image of the “Lady with an Ermine” by Leonardo and all the packaging, giving to the brand an additional elegant and refined touch.